Our ABS module repair services are an alternative to expensive dealership replacements that can easily save you hundreds of dollars. Instead of simply repairing your module, we go to the root of the problem and use better parts to ensure the issue does not return. MyAirbags restores your malfunctioning ABS module to like-new conditions and returns it to you. Our service is 100-percent guaranteed, which means that our repairs will solve the problem or you get your money back. Search by vehicle to see if we service your model’s ABS module. Don’t buy new or used part, send your original for repair and Save Hundreds! Fast & Easy 2-3 day turnaround. Our service is 100% guaranteed or your money back. Order today and save! 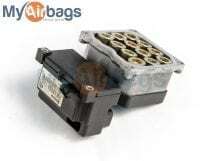 Copyright © 2019 MyAirbags. All rights reserved.